When is Hardneck Garlic Ready to Harvest? 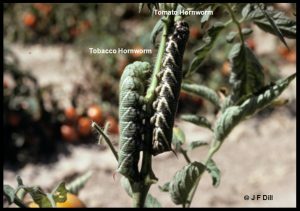 Tomato Hornworms (and Other Pests) — Be On the Look Out! Redesign Your Home Landscape: Add a New Room! Keep weeds in your garden and other plantings under control. They are not only unsightly, but they steal moisture, sunshine, and space. Do not allow weeds to go to seed. One flowering weed can produce thousands of weed seeds. Integrate compost into garden soils to improve soil organic matter, water holding capacity, and soil health. Keep trees well watered going into the fall. An inch of water per week is ideal. Pick or purchase blueberries for fresh eating or freezing. Frozen blueberries can be used in lots of ways and taste great in the winter. Get ready to preserve your tomatoes. For more information, see UMaine Extension Bulletin #4085, Let’s Preserve Tomatoes. Manage mosquitoes with an integrated approach. To learn more, see UMaine Extension Bulletin #5110, Mosquito Management. Build good garden soil by sowing cover crops. These “green manures” will be tilled or turned under in the spring to improve soil tilth and fertility. Rejuvenate strawberry beds. For more information, see UMaine Extension Bulletin #2067, Growing Strawberries. Harvest your garlic and save some of the larger heads for replanting this fall. For more information about growing garlic, see UMaine Extension Bulletin #2063, Growing Hardneck Garlic in Your Maine Garden. Sow vegetable crops for fall such as chard, radishes, arugula, spinach, turnip, beets, and lettuce. Divide daylilies as they complete their bloom cycle. Establish a new lawn or over-seed an existing lawn. The best time of the year to establish a lawn in Maine is between August 15 and Sept 15. Learn more in UMaine Extension Bulletin #2367, Establishing a Home Lawn in Maine. 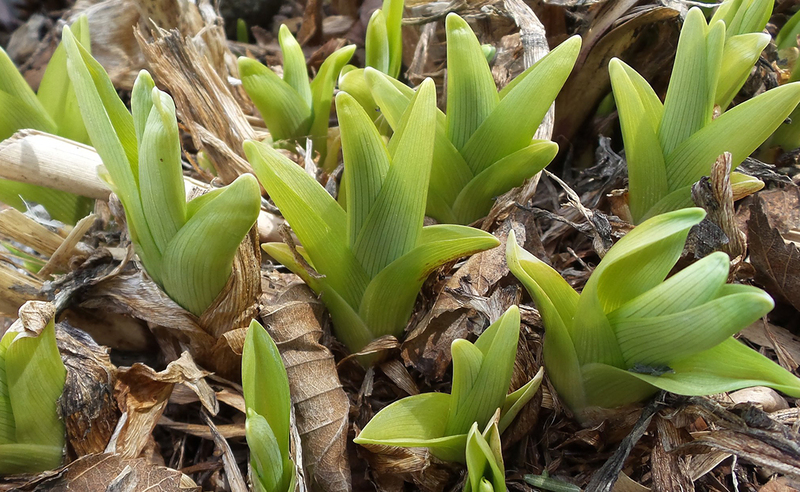 Pick a site for bulb planting for this fall. 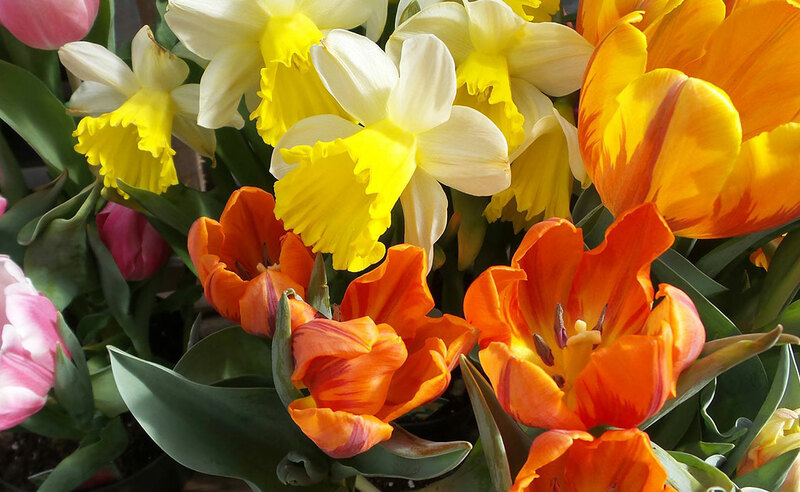 Order bulbs to get the varieties that you want. Prepare new beds for fall or spring planting by smothering grass or weeds with layers of newspaper or cardboard. Repot houseplants for those plants that have filled their pots and seem to need space. Be on the lookout for the Spotted Wing Drosophila. This is a new pest that arrived in Maine in 2011. It is a concern for ripening raspberries, blueberries, day neutral strawberries, as well as other soft fruit. Learn more about Spotted Wing Drosophila. Visit a Farmers Market for fresh local produce and support your local farmer. Visit Get Real, Get Maine! for for more information about farmers markets around the state. 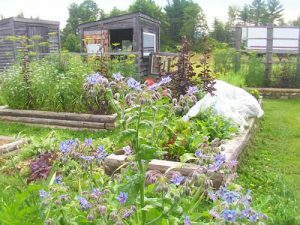 If you reside in southern Maine, consider buying tickets for the Backyard Locavore Tour, Saturday, August 10 in Cumberland County. This is a unique self-guided tour of multiple Cumberland County backyards. It provides an educational opportunity that is brought to you by University of Maine Cooperative Extension’s Master Gardener and Master Food Preserver Volunteers. For printed copies of bulletins listed in this article, contact your local UMaine Extension county office or call UMaine Extension Publications Distribution, 207.581.3792. 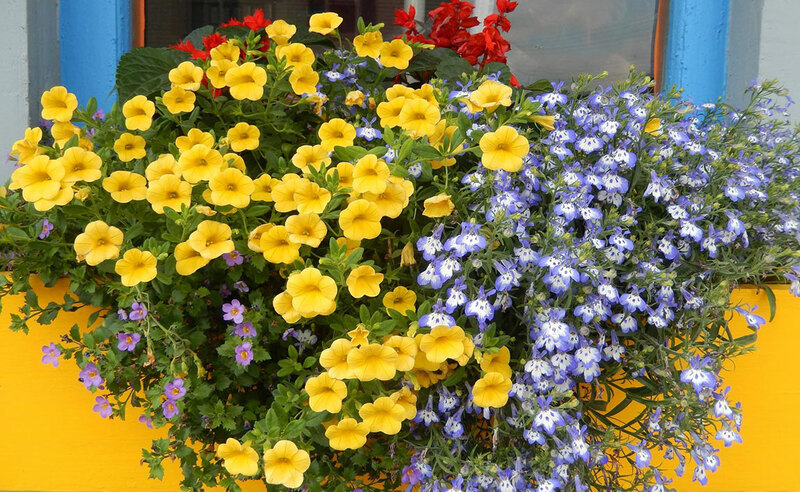 August brings the flowering of exuberant perennials rich in color and bold in texture. In our garden border, a tapestry of goldenrods, sneezeweed and joe-pye weed all burst into bloom simultaneously. This is a place where insects thrive, a natural insectary providing pollen and nectar during a time when these essential pollinator foods are scarce in the rest of the garden. There are 19 species of goldenrod (Solidago sp.) native to Maine, each unique in size, leaf shape, or the form in which it displays its golden flowers in late summer or early fall. Learning to identify each species, even in bloom, would be an ambitious project, a goal for my retirement years. At the moment I am more interested in the role of goldenrods in our gardens. First, let me dispel the notion that goldenrods cause hay fever; their pollen is too heavy to be carried on the wind. The tiny green flowers of common ragweed, an inconspicuous plant flowering at the same time as some goldenrods, is the main cause of hay fever. 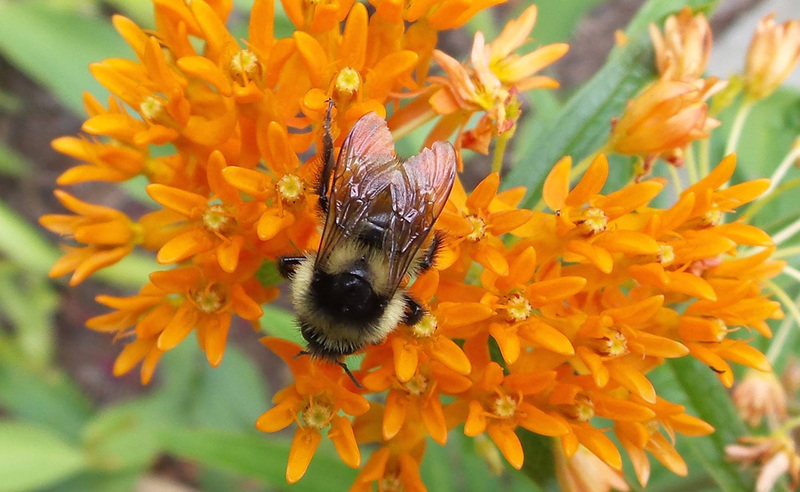 Goldenrod pollen is dispersed by pollinating insects, including native solitary bees and bumblebees, butterflies, wasps, and beetles. Even spiders have been shown to move goldenrod pollen around as they prey on insects. For gardeners interested in bolstering pollinator populations in their garden, goldenrods are hard to beat. Their late-season nectar and protein- rich pollen attract pollinators in higher numbers than any other plant species. Gray goldenrod, shown here blooming with joe-pye weed, grows best in sunny gardens. Once established, it can withstand periods of summer drought. 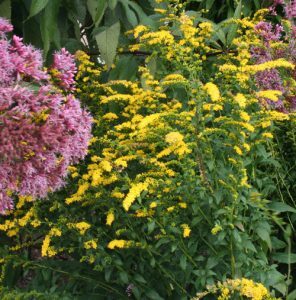 For sunny dry gardens, Maine gardeners should grow the tall goldenrod (S. altissima), a rare species that grows to seven feet tall, and two shorter species, gray goldenrod (S. nemoralis) and elm-leaved goldenrod (S. ulmifolia), growing to three and four feet, respectively. All three species flower in August with gray goldenrod and tall goldenrod continuing into September. For wetter (though still well-drained) garden sites, use the blue-stemmed goldenrod (S. caesia) that grows four feet tall and smooth goldenrod (S. gigantea) that tops out at seven feet. Both flower in the fall. During the first week of August, Maine roadsides and fields are filled with goldenrods growing side-by-side with a pollinator-attracting native shrub, meadowsweet (Spiraea alba var. latifolia). The soft pink of meadowsweet’s small flowers, borne in terminal branched clusters, is a pleasing contrast to goldenrod’s bolder bright yellow. 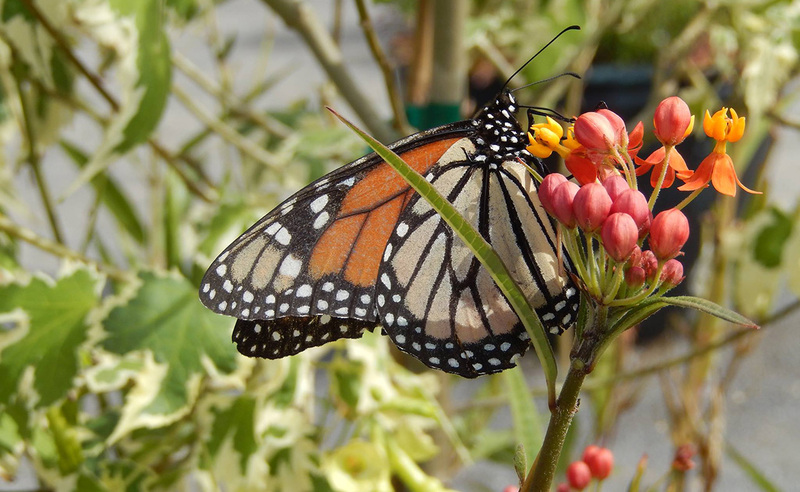 Planting both species together in the garden represents the essence of bringing nature home. Sneezeweed (Helenium autumnale) can reach six feet or more in height and just as wide when grown in rich, moist soils, its branched stems bearing huge masses of two-inch flowers in August and September. The common name has nothing to do with the plant’s pollen, but can be traced to the use of the dried and powdered leaves as a snuff to cure the common cold. Planted together, gold and red heleniums make a bold statement in the summer border. Sneezeweed is another example of a native North American plant that was not popular in gardens until European breeders worked with them. 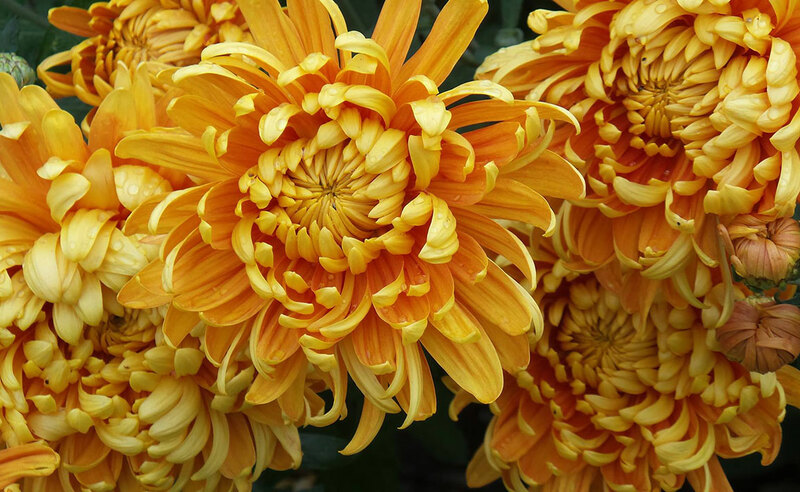 Now there are several varieties in flower colors of gold, orange, rust, and red. 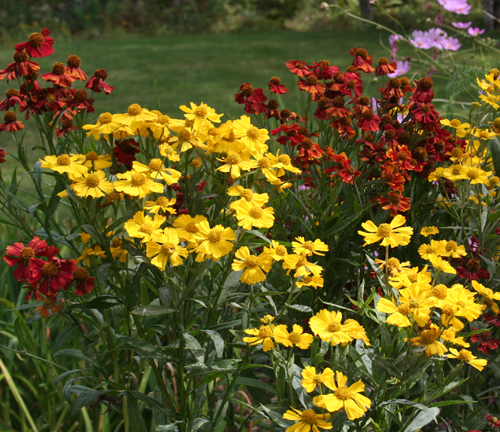 A mix of gold and red heleniums creates a bright and cheerful garden scene. Sneezeweed can get wild and woolly. You may want to stake the taller varieties or, to keep the taller types blooming on shorter, bushier stems, cut them back hard around July 4. Deadhead the plants after the flowers fade. Joe-pye weed (Eupatorium purpureum) is a mammoth clump-forming perennial, reaching up to nine feet high in rich, moist soils. The species has loose clusters of small pink flowers, but many gardeners prefer the cultivar ‘Atropurpureum’ with violet purple flowers and dark burgundy stems. Everything about this plant is bold, including the lance-shaped, toothed leaves that form a dark green foil for early-blooming perennials. Flowering from early August through early autumn, joe-pye weed is one of the best butterfly- and bee-attracting plants. 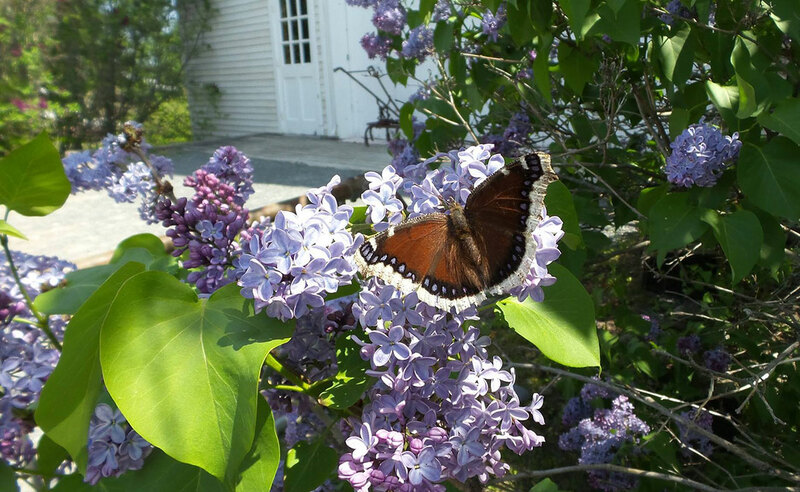 Excerpted from The New England Gardener’s Year, A Month-by-Month Guide for Maine, New Hampshire, Vermont, Massachusetts, Rhode Island, Connecticut and Upstate New York, by Reeser Manley and Marjorie Peronto, Extension Professor. Knowing when to harvest hardneck garlic can be a bit tricky since the bulb is below ground. Garlic harvested too soon will not be full size and will not store well. On the other hand, the outer protective wrappers on over mature garlic break down, leaving exposed cloves that are unattractive and may negatively impact storage. Physical clues the garlic plant shows helps to determine when harvest time is just right. 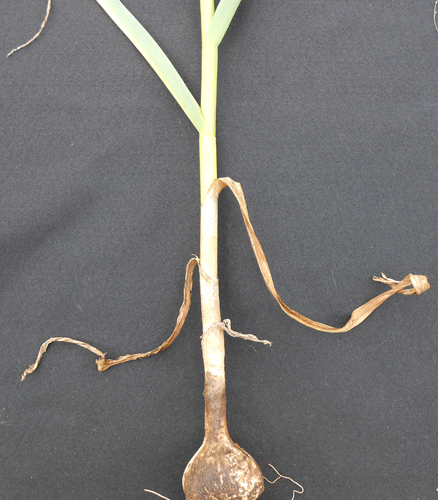 One indicator is the browning of the three lowermost leaves on the garlic plant. These leaves should be entirely brown. The leaves above will still be in various stages of green. Another plant sign is the flower stalk, or scape. The scape will have undergone all of its coiling and uncoiling and will just be standing straight up when the garlic is ready to harvest. Although leaving garlic scapes on your plants will reduce the size of your harvested bulbs, it is a good idea to leave a few as a harvest indicator. It’s also fun to watch the development of the umbel, which bears bulbils and often flower parts. The harvest window for garlic is relatively short. Using the two indicators above will leave you with about 10-12 days to harvest your garlic at its best. Remember to quickly dry your garlic crop so that it will be less prone to fungal disease and will store better as a result. New garlic publication, Bulletin #2063 Growing Hardneck Garlic in Your Maine Garden, is available online and at your local UMaine Extension county office! Tomato hornworms typically show up in August in Maine. 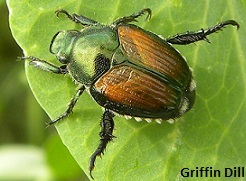 You ought to inspect your plants daily to determine if you have these veracious pests. They start out as small green caterpillars but grow quickly to a size bigger than your thumb. Watch for damage to tomato leaves and green tomatoes. Entire leaves will be eaten and tomatoes will appear as if someone took a bite out of them. Look for the caterpillar’s frass (excrement) on leaves, stems and on the ground — dark green droppings about the size of a beet seed. July and early August are the best times to start control as the caterpillars are small. Handpicking works, but you can easily miss some as they are well camouflaged. If you wait too long to apply control measures, your plants will be denuded and several of your fruit will be damaged beyond use. Organic control for these caterpillars include spinosad and Bt. Synthetic products include Carbryl (Sevin) or Malathion. For more information, see our web page about hornworms. 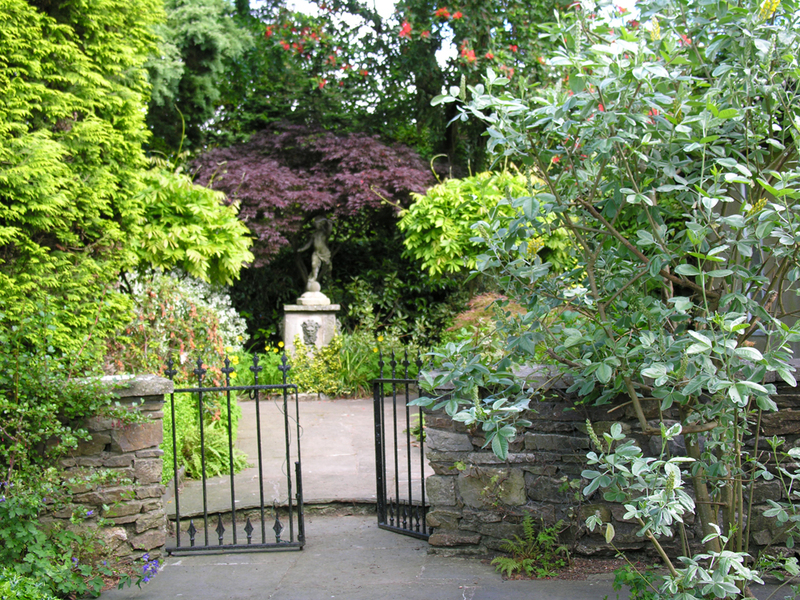 This low gate and the statue beyond entice the visitor to enter the next garden room. We sometimes visit beautiful botanic gardens and private landscapes, where we have a sense of being in an open-air house. We enter through a “door” and pass through “rooms.” Our emotions and thoughts might change from one room to another; we might have a sense of calmness in a landscape room dominated by lush shrub and tree foliage, while we might have a sense of formality in a rose garden, and we might think about food while crossing a patio with a grill and picnic table. The rooms give definition to the landscape, and to our understanding of it. One overall impression we often gain when touring a garden designed as a series of rooms is a sense of vastness. Landscapes that are one open space with different areas of activity seem like one big room, while landscapes that are divided into rooms that prevent us from completely seeing the other rooms make us feel like we’re exploring a much larger area than is actually the case. Two gardens that are famous for being composed of a series of outdoor rooms are Hidcote Manor, located in Gloucestershire (southwest England), and Sissinghurst Castle Garden, located in Kent (southeast England). These gardens are inspirational for many reasons. They’re well designed and expertly maintained, and they present impressive collections of plants arranged in pleasing combinations. But more than that, they feel “lived-in” and comfortable, and they feel larger than they really are. Exploring them is somewhat like taking a tour of a beautiful house. These landscapes are divided into inviting “rooms” that are divided by “walls.” And, those spaces are driven by function. For example, Sissinghurst’s white garden is enclosed in a way that makes it feel like a room whose purpose is to enjoy a moonlit evening, when white-flowered plants come to life. Leaving the outdoor rooms near the castle and entering the orchard gives a feeling that the property goes on and on. Outdoor rooms can be very formal, as seen in this rooftop garden. 1. Consider function before form. We use our landscapes in many ways. We dedicate space to store firewood, park vehicles, and grow food. Our walkways, entries and driveways allow us to enter and leave our property. Lawns accommodate recreation and create a sense of space. 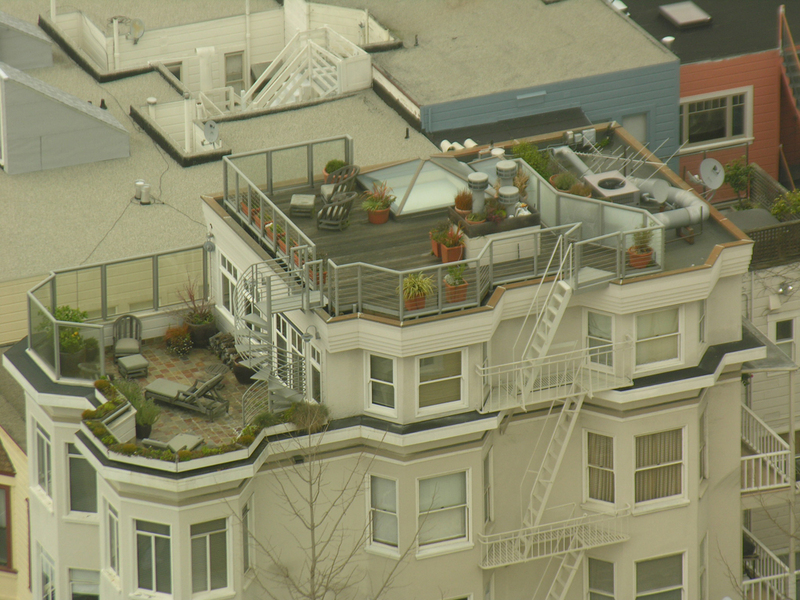 Patios and decks provide places to cook, dine, grow containerized plants, and simply relax. At the edges of these spaces, we provide wildlife habitat, and plant hedges or build fences for privacy. Make a list of all the things you want your landscape to do for you before you start to think about how to arrange spaces or select plants. That way, you can think about what size space you’ll need for each function, whether each function is best achieved in full sun or shade, and whether each space belongs in the front yard or the back yard. Just as you would do if you were to design a house, you’ll be able to sketch where each “landscape room” would best be located. In the process, you’ll find that some functions are best accomplished in dedicated spaces (parking, wood storage, vegetable garden), while other functions can be merged in “multipurpose rooms.” For example, a grass lawn could support recreation, provide a place to dine outdoors, give the landscape a sense of space, and provide lots of edges where you can observe birds. 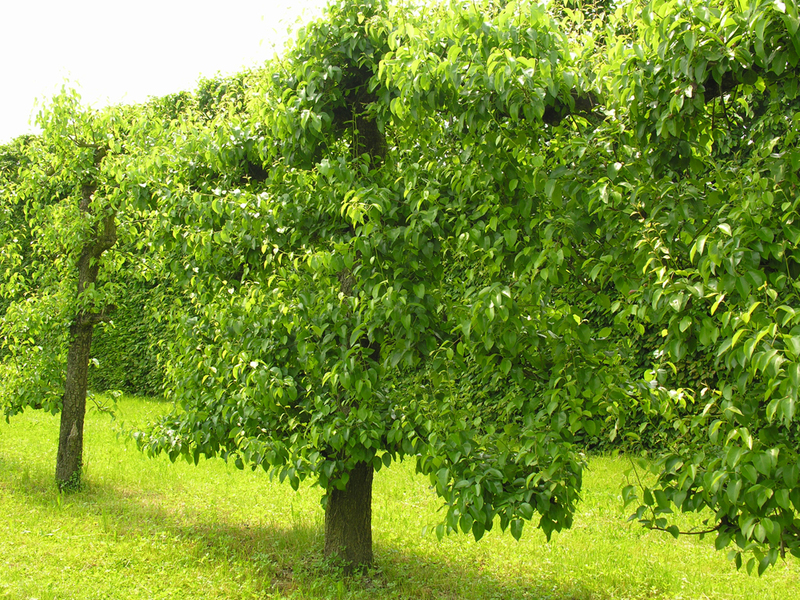 Espaliered apple trees form a thematically perfect wall at the edge of the garden. 2. Install a few high walls. Our indoor rooms are generally separated by walls that reach from ceiling to floor. Outdoors, high walls can interfere with air movement, produce shade that may be undesirable, and block views. Too many high walls can create a claustrophobic feeling. But a few high walls might be useful. 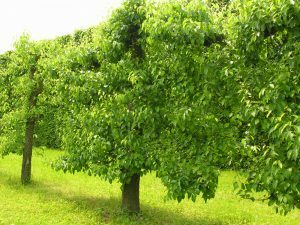 You may want to block a view of the neighbor’s driveway by installing a tall hedge of native trees or shrubs that provide habitat for birds and other animals. Or, a tall hedge could form a backdrop to a perennial border that would be hidden from view from the back, creating a surprise for visitors as they round the corner. A fence can shield a landscape from the noise and dust of the road. Raspberries or blueberries would make a beautiful dual-purpose hedge around the home food garden. 3. Use low walls to delineate spaces while preserving the view. You might want to create a low wall to define the end of one space and the start of another, while retaining the ability to see from one of those spaces into the other. For example, a low railing or stone wall or bench might form the edge of a patio, yet allow parents on the patio to monitor their children’s play in the lawn beyond. Or, a series of raised beds can perform two functions at the edge of the vegetable garden: raised beds allow early planting of crops, and they also form a physical barrier to prevent weeds from creeping into the garden. 4. Consider movement among landscape rooms. In our houses, some rooms connect through doorways, while hallways can lead to other rooms. While sketching your landscape rooms, consider how you’ll visually and physically move among them. Remember to install walkways and paths where needed. And, remember that walkways can delineate landscape rooms. For example, public sidewalks support pedestrian movement, and also form the border between private lawns and public boulevard plantings. 5. Design transitions that create interest. Landscape rooms are popular because they add a sense of mystery to the landscape. You don’t have to build fences and plant hedges; just install a few transitions that suggest to visitors that they are leaving one room and entering another. 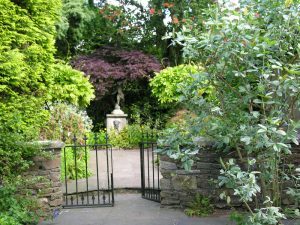 A simple gate, or even a pair of gateposts placed between two shrubs, suggests passage through a door. Rounding the corner of a building forces the visitor to form a new impression of what’s ahead; this is typically how we sense that we are leaving the public landscape of the front of a house, and entering the private area of the backyard. A change of elevation, even if it’s just three steps up or down, gives the sense of leaving and entering. Winding pathways force the pedestrian to constantly shift views, and take more time in appreciating your gardening successes. 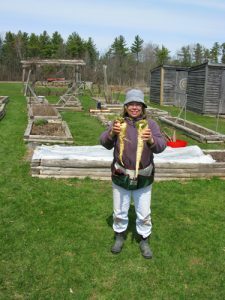 Master Gardener Volunteer Connie Bellet and her husband, Phil White Hawk, are the people behind the Palermo Community garden, which is sponsored by the Living Communities Foundation. The gardens consist of thirty-two raised beds, which Phil built out of cedar. They produce over a hundred varieties of herbs, fruits, and vegetables from mid-April when they harvest parsnips, scallions, horseradish, Jerusalem artichokes, asparagus, and Egyption onions, into November when there’s kale, carrots, and other root vegetables. Phil builds more raised beds. Seed donations came from Johnny’s Selected Seeds and Wintersown Educational Organization, who suggested this method for early seed-starting: the seeds are planted in their own personal milk-jug greenhouses and left outside to germinate in their own sweet time. This makes transplanting a big job, but it also makes an “instant garden.” The young plants got a head start on the weeds and insects. This was a great project for kids, with some adult supervision when cutting the jugs. 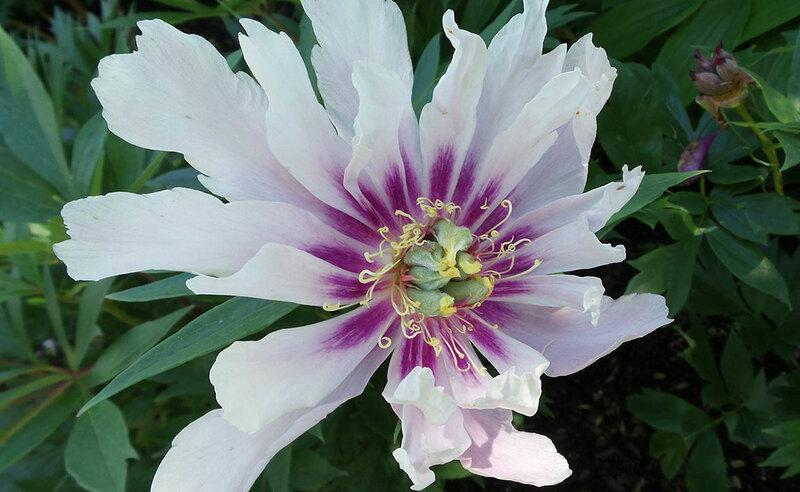 The garden is now scattered with annual and perennial flowers to keep the bees happy and to bring color and life to the tables of the Community Center, where there’s a movie and potluck dinner each month. 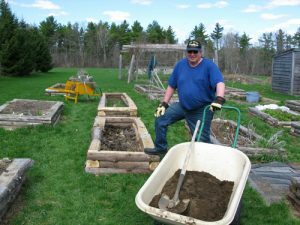 For more information about the Palermo Community Garden or about volunteering, please call Connie at 207.993.2294 or contact her at pwhitehawk@fairpoint.net.